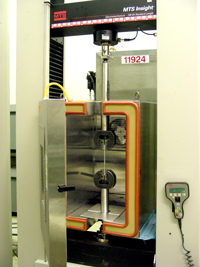 Tensile strength tests are an integral part of material development. Materials that require this test include various metals, plastics, paper, fabrics, fibers, composites, and films for many industries. 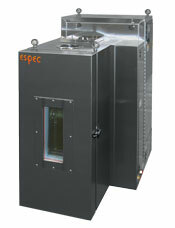 ESPEC tensile test chambers are designed to work with any tension apparatus and can be customized to meet unique application needs. Using a refrigeration system instead of Liquid Nitrogen to cool the chamber allows our equipment to introduce humidity. Proper humidity regulation is key to getting accurate results.